Most people have an idea of what power surges are like, or at least they think they do: lightning bolts. And lighting is indeed a major cause of destructive power surges that can harm the appliances in a home. However, there are many more causes of power surges that are less spectacular and harder to recognize. And these are the surges that standard power strips won’t do much good against. For the best surge protection, you need a whole-house surge protector, which a professional electrician can easily install into you electrical panel. Contact Electrical Connection, Inc. today and talk to one of our electricians about hooking you up for whole-house surge protection in Berlin, CT. Since 1985 we’ve provided superb electrical service for all of Connecticut. Lightning: Yes, catastrophic events are one of the reasons that power surges occur, and you need to be ready for them. If a lightning strike occurs close to your house, it can be enough to overwhelm any electrical system and cause damage to precision equipment like computers and TV monitors. Power strips are sometimes sufficient, but not always. Using power strips and a whole-house surge protector will give you the safety you need. Increased power demands from an appliance: The principle cause of smaller power surges—the ones you may not often notice but which can create problems—is when one of the larger appliances in your home makes a sudden increased demand on the electrical system. A good example is a refrigerator or washing machine. The strain from these appliances will cause an imbalance throughout the electrical system that creates the surge. The cumulative effect of smaller surges can damage other appliances. If you notice flickering lights in your home, it’s a warning sign that you are probably experiencing smaller surges, and power strips are no help again them. Bad wiring: If you live in a home built pre-1970 (or especially pre-World War II), the wiring in the house may simply not be up to the power demands put on it, and it will cause power surges. You will not only need a whole-house surge protector, but should consider rewiring the home. Utility company: There are times when issues with the power company’s equipment can cause surges to go through the lines. You don’t have any control over this, although you can take steps to guard against with sufficient surge protection. It’s a simple job for an experienced electrician to wire your home for whole-house surge protection, and if surges are a common occurrence in your house, you should definitely call for the service. Electrical Connection, Inc. can take care of wiring your home for surge protection that will keep you safe from everything from lighting to a power-hungry washing machine. 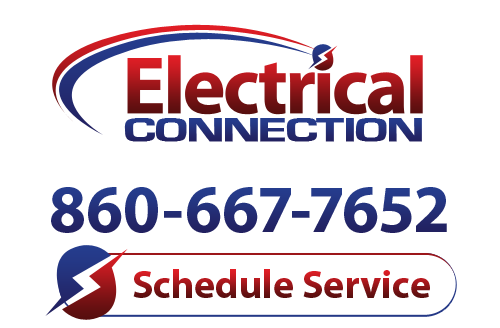 Give us a call today to schedule an appointment with a professional electrician in Berlin, CT.